Thanks to the world spy organization known as Google, my Facebook feeds are chockablock with decorating articles like “six things you must have in your bedroom if you’re a grown up” and “seven design mistakes that drive every designer mad.” I LOVE these articles. Sometimes they’re insanely silly and even off-base, but I cannot look away. And Google knows this. Such a stalker, that Google. And hence begins a new occasional series detailing my rules for decorating. There aren’t many true absolutes in this trade, but each designer has a personal code. You might find some of my rules silly, too. But I thought they would be fun to pass along. Your doormat is the first thing anyone sees when they come to your house, and almost all the time, the mats are small little sad things and out of proportion with the space. Your doormat needs to be at least as wide as your front door. If you have glass side lights on the sides of your door, consider going even larger — try to find something as wide as the door and side lights combined. This doormat is sized correctly. This is my favorite doormat, because it comes in the right sizes for a standard door and for double-wide doors. And you can monogram it, add your last name, or leave it blank. When considering the astronomical sticker shock that comes along with drapery rods — good drapery rods, especially, I understand how the Stubby Twins were born. Believe me. I have to give clients their custom window treatment proposals along with a paper bag in which to breathe. 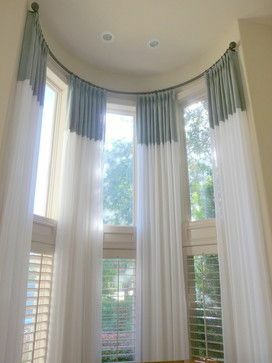 Drapery rods are priced per foot, and if your panels are merely decorative, it seems a smart solution to buy two short rods and hang them on each side of the window. Just please resist, because I promise you that pulling the Twin Stub Rod trick is akin to buying a pair of pants with holes cut from the thigh to the knee just to save money on fabric. Design is about creating sight lines to direct the eye around a space. A broken rod = a broken line, and it draws the eye toward something you don’t want to highlight: a virtual poster that says, “Look, mom, I cheaped out!” OK, sorry. That was true mean. 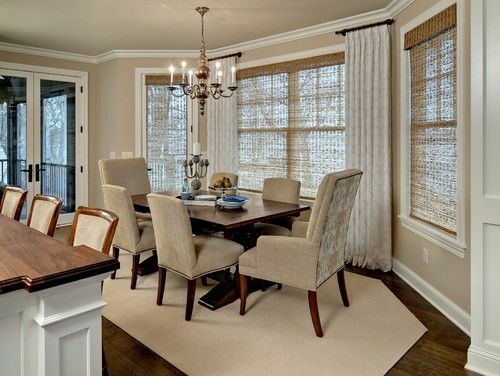 Drapes are meant to close – or at least look like that’s a possibility. The rod needs to stretch across the window. Even if the wall is curved and angled, or the size of a Broadway stage. Even if the window is arched. Even if ______________. These make me want to throw myself upon the doorstep of the Helser Brothers Factory in Chandler, where I will plead for the grace of a completed rod. 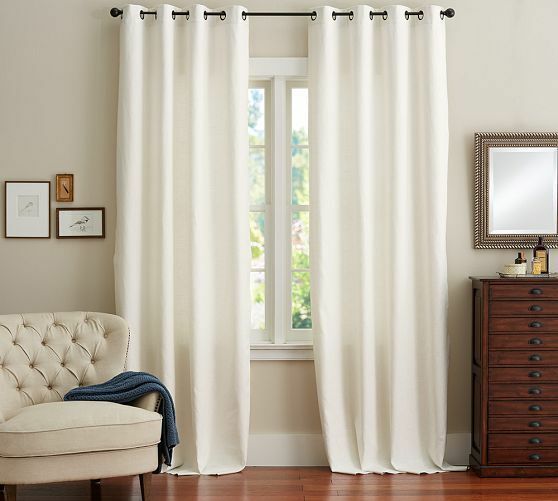 Since I’m being the evil queen of expensive curtain rods, I’ll share an easy trick for making store-bought drapery panels look better: Use two panels on each side of your window. You’ll think you don’t really need it, but you’ll be floored by the difference it makes. 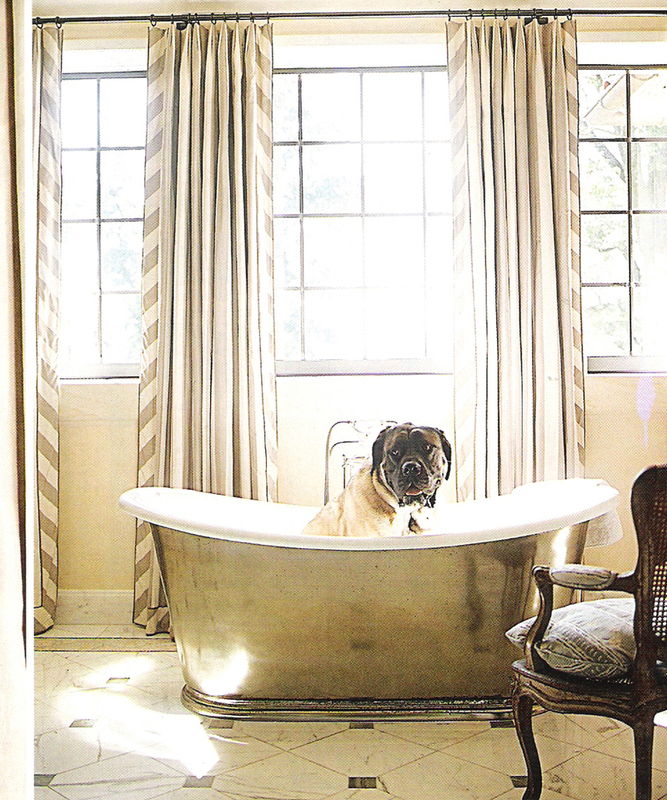 These are Pottery Barn drapes, doubled. One of the key differences between store-bought and custom draperies is the fullness of the fabric (see the custom glories below), and doubling them up is a simple little cheat. Grommets are metal rings inset into the fabric. Also: make sure your rod and grommets are the same metal finish. One more for the road: if you can find drapery panels with lining, choose them every time. They’ll last longer, and they’ll look so much more like the professional window treatments we fussy designers favor — all of which are lined. 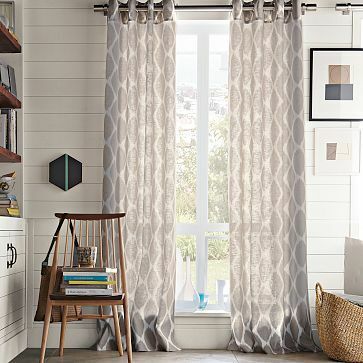 A good place to start: These Pottery Barn grommet-top panels are lined, and the white colorway is particularly crisp. Don’t buy doormats that are too small. Don’t cheap out in the rod department. Do double up store-bought draperies for high impact on a smaller budget. Do look for lined draperies, whenever you can. And please DO send me any questions you have about the rules of decor. I could play professor for hours. What do you think about this new series?